the_list.count and the_list.length both return the integer # of records found, although .count results in an additional query against the database. However, if you add a .group(:userphone), then the_list.count returns a hash of unique userphones => counts, while the_list.length returns the integer number of unique userphone found. 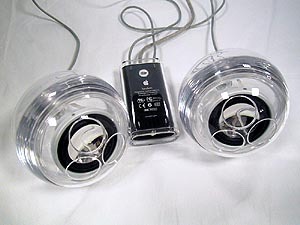 My favorite desktop speakers are still the Harmon Kardon speakers that came with my old G4 Cube. In case the thread goes away, you download the old version of AppleUSBAudio.kext thoughtfully posted online by a forum poster here. Then find and download Kext Wizard (I used v3.7.10) and use it to Install the older AppleUSBAudio.kext file. As noted in the thread, it can sometimes be a little squirrelly when changing volume using the volume keys on a keyboard, sometimes a quick unplug/plugin is required. But the sound is sweet and the look is still classic Apple-cool. 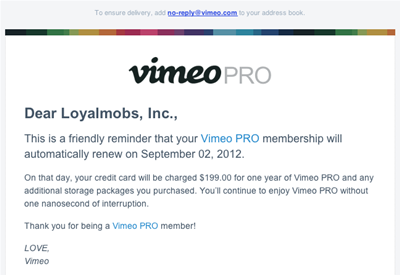 We joined Vimeo for video hosting 11 months ago, are on an annual-renewal plan. These days, the typical ‘reminder’ is sent by Web Company X only AFTER they have charged your card for another year – they place the onus of remembering renewal anniversaries on you. Kudos to Vimeo for responsible billing practices that do not rely upon users forgetting about their account in order to rack up extra subscription revenue.